DRONI CIVILI: RISCHI E OPPORTUNITA’ PER LA SOCIETA’. The seminar will be held at the offices of Gorrissen Federspiel in the new spectacular building Axel Towers just next to the Tivoli Gardens in the middle of Copenhagen, with Tivoli Hotel as the conference hotel. 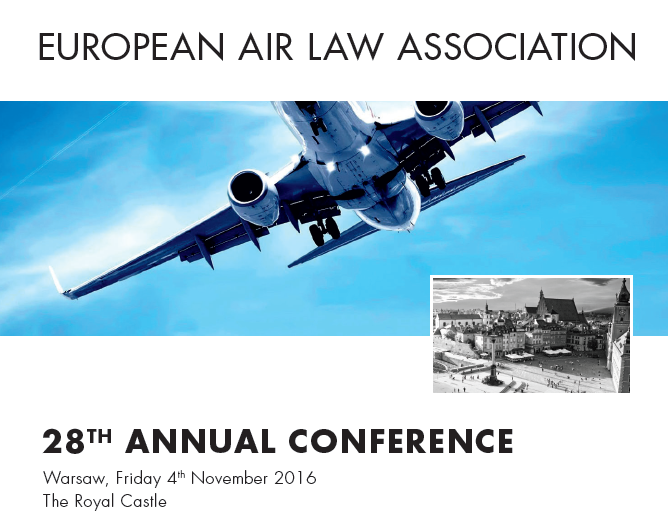 The Centre for Antitrust and Regulatory Studies (CARS) has the pleasure of inviting you to participate in the Airline Regulatory and Antitrust Conference which will be held in Warsaw, Poland at Faculty of Management, University of Warsaw on 20 October 2017. The goal of the conference is to discuss current problems and legal trends related to economic regulation and antitrust policy in international air transport. The debate is meant to reveal and reconcile distinct perspectives characteristic for different regions of the world. CARS has thus invited renowned academic experts from most important aviation markets. The conference is aimed at aviation managers, consultants, attorneys, economic analysts, academic scholars, PhD candidates, students and professionals who are interested in the relations between different legal determinants shaping the international airline business. The second edition of the Executive Course offers a three day program, targeting mainly professionals and managers from the aerospace and aviation industry. This course provides a thorough theoretical and practical analysis of the various sources and principles of law that govern international contracts in aerospace and aviation industry. The first edition of the Executive Course (a sixday program) was held in 2016 in Torino. improved skills in recognizing and analyzing key legal issues, applying effective strategies and techniques to control the progress of negotiation and formation of a contract. has been acknowledged by the issuance of dedicated arbitration rules for outer space before the Permanent Arbitration Court in 2011. The course comprises three specialized modules (8 hours a day) and consists of lectures with a participatory approach to reinforce the participant’s knowledge. The training methodology combines a range of methods including traditional class work, group seminars and interactive problem solving. The target is to increase knowledge in the field of psychology of fear to improve safety. Introduction to the causes of aerophobia. Training techniques assistance to passengers in the elimination of the fear of flying. Category trainees is civil aircraft flight and cabin crew members, specialists of tour operators and agencies, eachers aviation training centres, specialists in transport, managers of airports, flight safety inspections experts, aviation security services staff. 1. What is aerophobia. Causes aerophobia. Identification of anxiety (as the first sign of symptoms phobia) the passenger. The methods of its correction at the initial stage. 2. Training methods for determining the emotional state of a passenger on the view. Methods to prevent tension. Education skills control over the fear of flying, and in front of it (attention switching equipment, breathing techniques and so on). 3. Definition of “panic attack”. Symptoms. The principles of communication with passengers during a panic attack. Methods relief panic attack. 4. Interaction with the passenger in a state of panic attack. Methods of quick relief of an attack – development of practical skills. Price: 7300 rub. The price includes Wi-Fi, coffee breaks and lunch during the training day. Fill in the application rate may be on the website at http://aerohelp.com course. For students of the Institute of Air and Space Law AEROHELP we offer accommodation at a reduced rate in St. Petersburg various hotels categories. to European and international aviation law. ICAO Global Market-Based Measure: Mission accomplished or merely begun? Recent competition law developments in the aviation sector: What lessons can we learn? 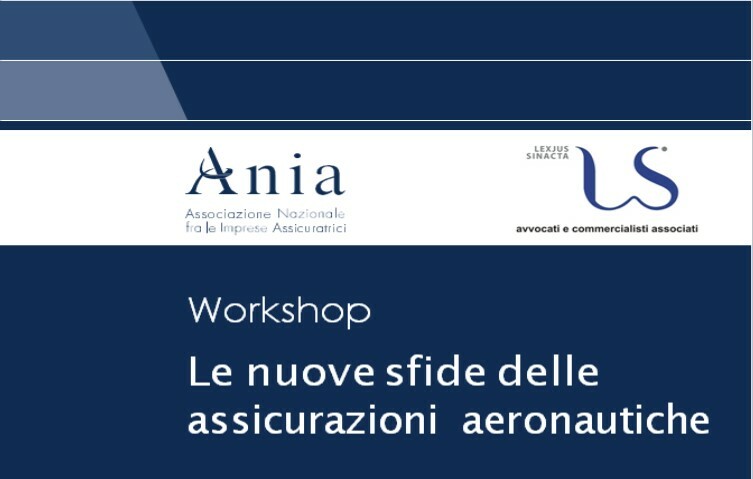 AIAD, in collaboration with the University Institute of European Studies (IUSE), the University of Bologna, the LS Lexjus Sinacta Law Firm and the International Training Centre of ILO, presents the Executive Course on International contracts in Aerospace industry. The course aims to strengthen the knowledge of participants in the international contracts in the aerospace industry, in the negotiation techniques, in the examination of the main contract terms, in the resolution of potential disputes. In house Lawyers / General Counsels. The lectures of the Executive Course are highly qualified and have many years of experience in the reference industry. Relatori: Ing. Filippo Tomasello partecipante ai lavori ICAO e JARUS sui dro-ni, e Ing. Alessandro Cardi, Direttore Centrale Regolazione Tecnica ENAC. Il 7 Dicembre 2015 la Commissione Europea ha presentato (Comunicazione 613) la proposta legislativa per la riforma di EASA. La propsta semplifica le regole per l’aviazione generale ed estende il mandato di EASA ai droni al di sotto dei 150 kg. EuroUSC Italia S.r.l. offre un corso in formula breve di 4 ore per comprendere meglio gli aspetti di questa proposta legislativa e il suo impatto sul mondo dei droni e dell’aviazione generale. The SESAR Innovation Days are the main vehicle through which SESAR disseminates the results of its long­term and innovative research programme (WP­E) and have become a landmark event in the European research calendar. Presently WP­E comprises 26 research projects, 3 research networks and 20 PhD studies and overall has funded more than 75 organisations. With the transition to SESAR 2020 and its Exploratory Research programme Europe will continue to benefit from similar arrangements, building on the success of the present research programme, and attracting new researchers and scientific disciplines to The SESAR Innovation Days (SIDs) support this by disseminating results of SESAR research projects and inviting research from the broader community via an open call for contributions, thus providing an ideal forum for networking. The 5th edition of the SESAR Innovation Days will be hosted by Università di Bologna, Italy from 1st – 3rd December 2015. Unlike other scientific events in ATM research, the SESAR Innovation Days focus explicitly on long­term and innovative research. Three SESAR Research Networks have been established to date: ComplexWorld – Mastering Complex Systems Safely; HALA! – Higher Automation Levels in ATM and ALIAS – Addressing Liability Impact of Automated Systems and these are involved in the organisation of the SIDs. The SESAR Innovation Days will include technical paper sessions, keynote presentations, contributions from the WP­E Research Networks together with an exhibits and posters. In particular we seek contributions from the wider ATM research community through this open call. “L’impresa aeroportuale a dieci anni dalla riforma del codice della navigazione: stato dell’arte” The Aerospace Law Chair of the Department of Law of the University of Bergamo-Italy is pleased to organize, in the SACBO S.p.A. ( the Airport Authority of Orio al Serio Airport) headquarters at Bergamo Airport, a conference on “Airport companies ten years from the reform of the Italian Navigation Code: the current situation”. The conference aims to discuss whether, 10 years following the reform of the Italian Navigation Code it is an opportune time for the National Legislator to take action on aviation aspects, which refers to airports, also in the light of the National Airport Plan and the regulatory interventions by the European Union on safety and noise reduction in the airport environment. tenere la relativa disciplina al passo non solo dell’evoluzione tecnica del settore ma anche del crescente irrompere della normativa UE a tal riguardo. in materia di Security, anche in ambito aeroportuale, vanno ben oltre i predetti interventi normativi nazionali. Il regolamento 598/2014/UE del Parlamento europeo e del Consiglio ha, da ultimo, rivisitato il tema delle procedure per il contenimento del rumore negli aeroporti dell’Unione. sulla parte aeronautica del Codice della Navigazione in tema di aeroporti, a dieci anni dalle precedenti novelle ed alla luce dei sopravvenuti interventi normativi da parte della UE. Considerati i limiti di capienza della sala adibita al Convegno è assolutamente necessaria la preventiva iscrizione allo stesso. Per gli Avvocati è obbligatoria l’iscrizione: tramite la CADLO per gli Avvocati iscritti ad essa oppure tramite il programma “sfera” per i non iscritti. 1-3 October 2015 : Naples, Parthenope University. (HE / 7 – Italian) emphasis on airspace knowledge. The Higher Education Courses are intended for inspectors, managers, executives, academics and other professionals, including lawyers and already qualified remote pilots, who feel the need to deepen their knowledge of regulatory, technical or business issues and international standards for unmanned non-military aircraft (RPAS). Courses can be designed and provided on demand (e.g. system safety assessment) or scheduled. The ALIAS CONSORTIUM is happy to announce the third ALIAS Conference, entitled “Liabilities and Automation in Aviation: The case of RPAS and Collision Avoidance Systems.” to be held on October 5-6, 2015 in Villa La Fonte, San Domenico di Fiesole (Florence, Italy). The Conference will be hosted by the European University Institute (EUI). The conference will address liability and automation in air transport, focusing on air traffic management, and in particular the innovation challenge faced by the SESAR Joint Undertaking. It will bring together experts from different disciplines and domains of activity, to discuss automation in complex socio-technical systems. Panel themes include Remotely Piloted Aircraft Systems, and collision avoidance systems. Specific judges’ panels address automation liabilities in courts and a session for WP-E projects is organized to share their experience with respect to legal challenges. More detailed information, including the provisional program and the registration, is available on the website of the conference: http://www.aliasconference.wordpress.com. ALIAS II (Addressing Liability Impact of Automated Systems) is an innovative project co-financed by EUROCONTROL on behalf of the SESAR Joint Undertaking with funds from the EUROPEAN UNION as part of Work Package E. You can learn more about ALIAS II by visiting our website at http://www.aliasnetwork.eu. Participants from academia, research centres, industry/SMEs etc. who are interested in the themes of liability and automation are welcome to join the ALIAS Legal Network, a community of experts and professionals sharing knowledge and experiences in the regulation of socio-technical systems, in particular, air traffic management. Join the network at the following address: http://network.aliasnetwork.eu. EALA is pleased to invite you to attend its 10th Munich Liability Seminar which will be held in Hilton Hotel Munich Airport. New air traffic management technology will improve safety, but may change liability risks for manufacturers and opera­tors. Will this re-quire new liability insurance solutions? Perhaps now more than ever, airframe manufacturers have available to them a range of strong defenses in aviation accident litigation filed in the United States, including reinvigor-ated defenses based on personal jurisdiction and forum non conveniens. The Germanwings crash has stirred a debate about whether moral damages/pain and suffering awards for victims of aviation accidents and their families should be increased. It has been proposed that an international instrument should govern these damages. We invite all aviation lawyers, airline, insurance and re-insurance industry, aircraft and aircraft engine finance, aerospace industry and airport representatives as well as government officials and academics to join us for this com­prehensive programme. The one-day format and the timing of the very successful previ­ous liability seminars have been retained in order to allow the delegates to travel to and from Munich the same day from most places in Europe. The venue is as always the award winning Hilton Hotel Munich Airport (formerly: Kempinski), a few steps away from the gates of Munich Airport, a young and dynamic airport with continu­ously high rankings in international airport surveys. The Aviation & Space Journal is pleased to endorse a forthcoming event, organized by The Worldwide Airport Lawyers Association (WALA) in Athens from September 9th – 11th, 2015. Hosted by Athens International Airport (AIA), it is the Association’s 8th annual conference and annual general meeting (AGM) and will take place at the Hilton Athens Hotel with SITA, the world’s leading specialist in air transport communications and information technology, as the main sponsor. For the first time WALA will recognize a recent written contribution in the field of airport law through the newly created WALA Annual Award.